Obscure ethnic or patronymic name of the prophet Nahum (Nahum i. 1). According to Jerome, Elkosh, the birthplace of the prophet, was the name of a village in Galilee; according to others, of a village to the east of the Jordan. Peiser ("Zeitschrift für die Alttestamentliche Wissenschaft," vii. 349) thinks the name is derived from "Ḳosh," name of an Assyrian divinity. 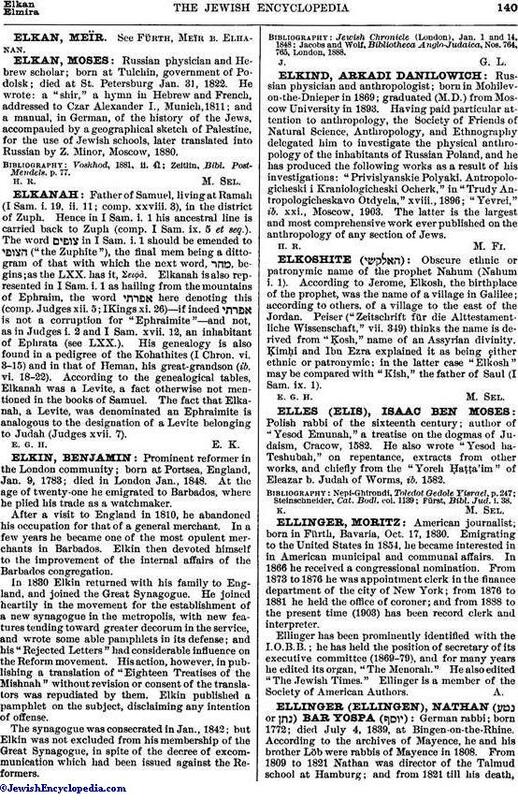 Ḳimḥi and Ibn Ezra explained it as being either ethnic or patronymic; in the latter case "Elkosh" may be compared with "Kish," the father of Saul (I Sam. ix. 1).